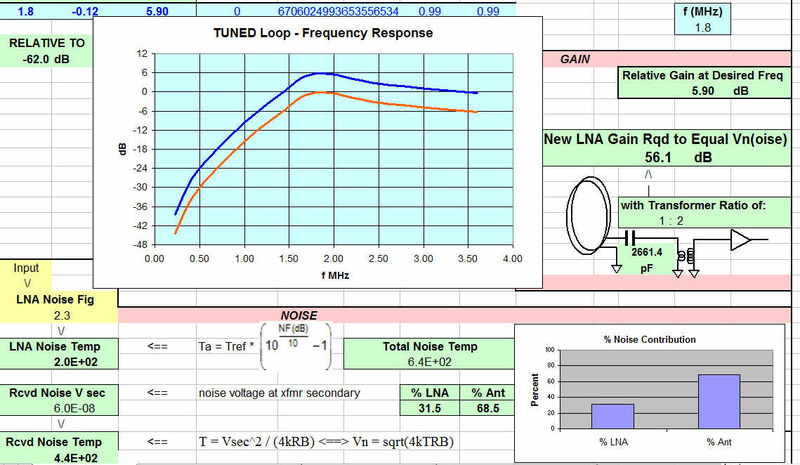 First cut at an Excel spread sheet to analyze a small RX loop’s noise and frequency response performance. You may have wondered why some of us keep yammering on regarding “Common Mode Current” on the coax, and why common-mode prone designs (like end-feds and JPoles) are so problematic. Here’s an example of a 915 MHz antenna for a wideband comm system prototype I am designing. I decided on a wide-band vertical dipole. 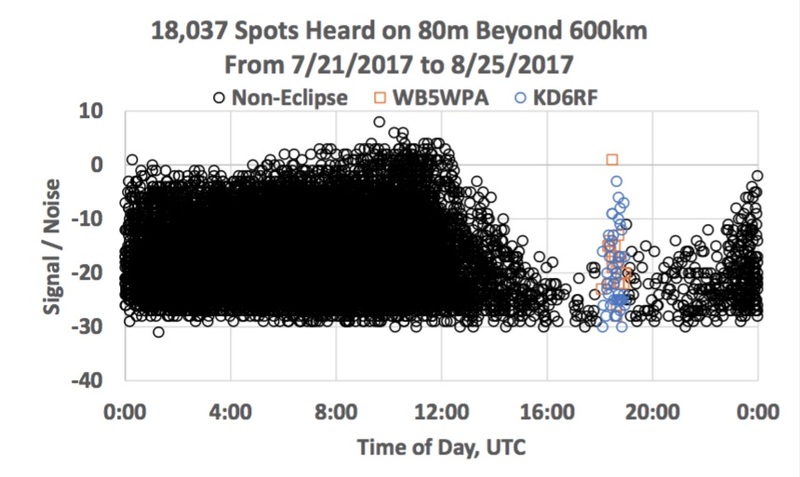 Solar eclipse data shows interesting enhancement of my signals on 160 M (1.8 MHz) during the event. Similar data for another station is shown for 80 M band (3.5 MHz) also. Apparently there are lot’s of differing opinions on antennas – now there’s a shocker Hopefully, we can put some rough numbers on things to help folks to figure out where opinion ends and basic principle begins. 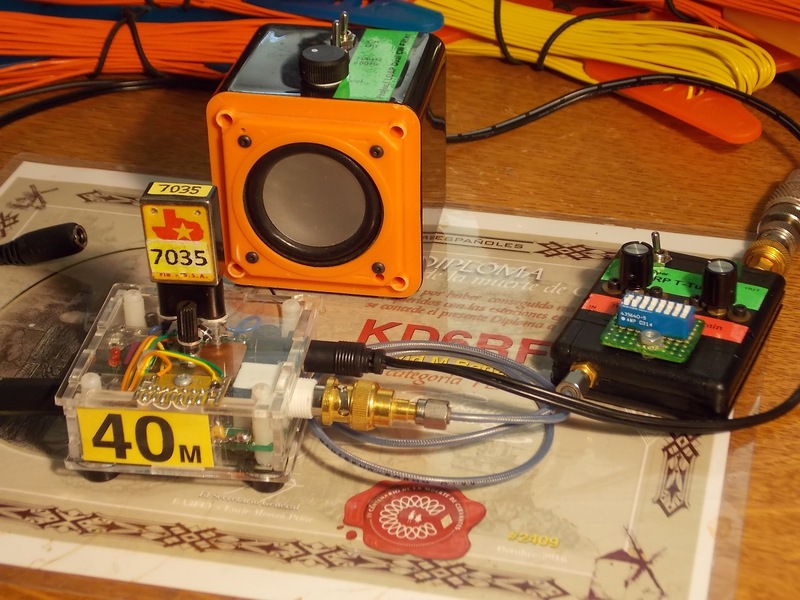 The 40 Meter Pixie (available at the time of writing for about $7 assembled on eBay) is an interesting minimalist transceiver design – crystal controlled, 2 transistors and an audio amplifier chip. 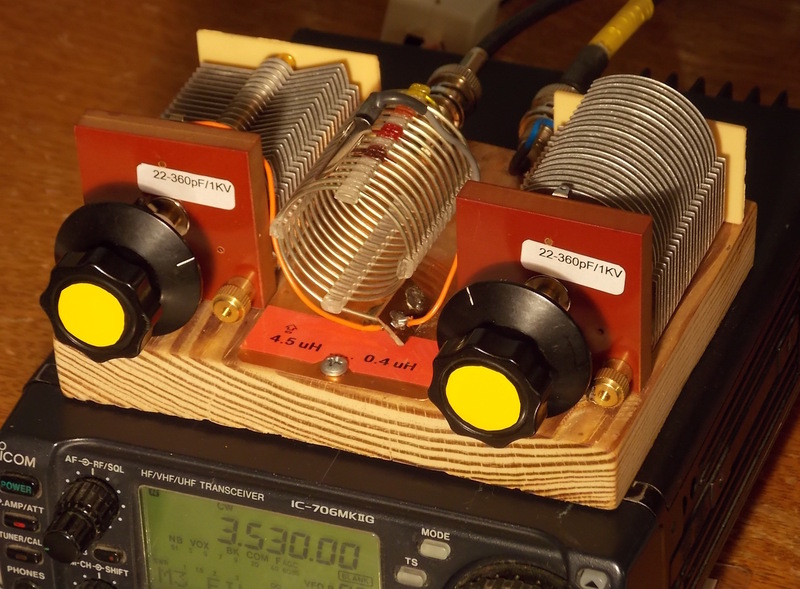 And you are on the air with a unit that you can make QSO’s with! Naturally, there is much room for improvement, and it can in fact be done for only a few dollars more. Below I describe a set of additions that I think really enhances the Pixie’s usefulness. The unit on the left below is the medium power BMU (Base Matching Unit) intended for 42 foot to 48 foot vertical, sloper, or Inverted-L antennas. Naturally, these antennas (like all end-fed antennas) require a decent radial system for efficient operation on the lower bands. 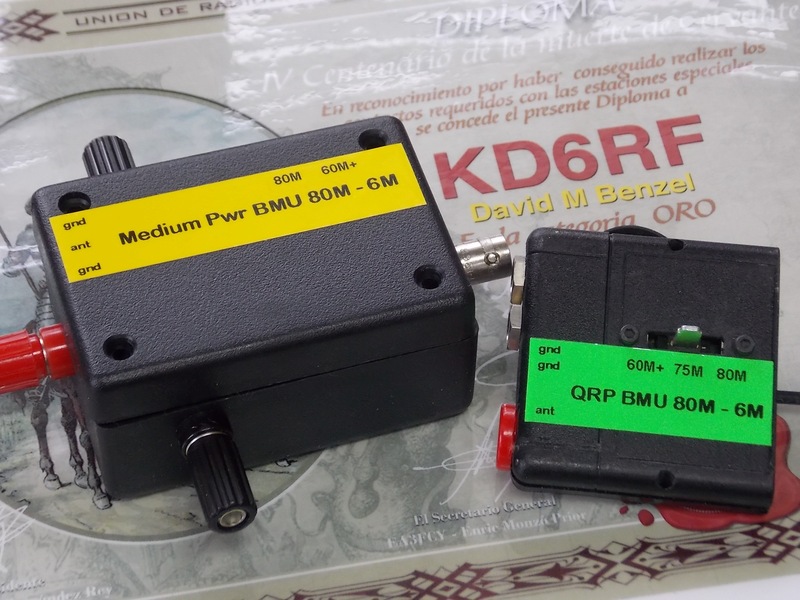 The unit on the right below is the QRP BMU (Base Matching Unit) intended for 42 foot to 48 foot vertical, sloper, or Inverted-L antennas. Naturally, these antennas (like all end-fed antennas) require a decent radial system for efficient operation on the lower bands. As part of renewed interest in portable medium power operations, I wanted a small cheap matcher. The units below are simply standard T-Tuners. 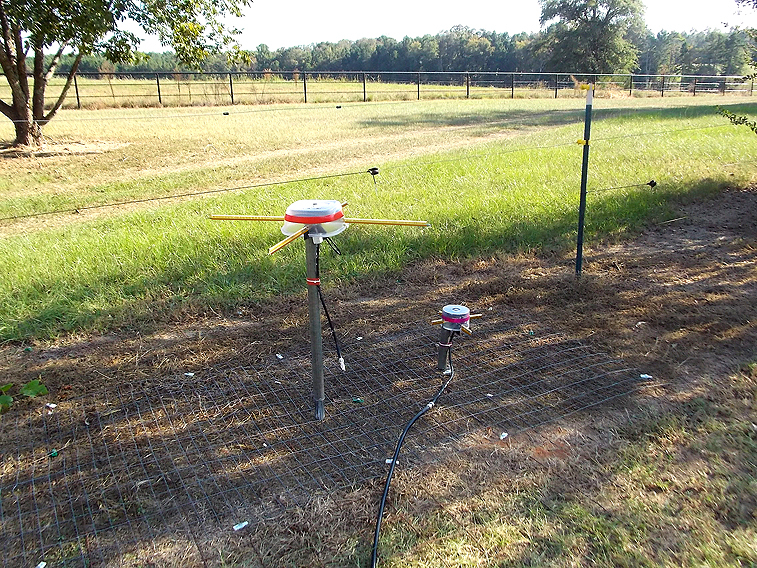 Using dirt-cheap construction technique and commonly available parts, these units perform well at a very low cost. As part of project LOAP (Lipstick On A Pig ===> http://vtenn.com/Blog/?p=1348), I wanted a small cheap matching and SWR indication unit for the Pixie-based transceiver system. 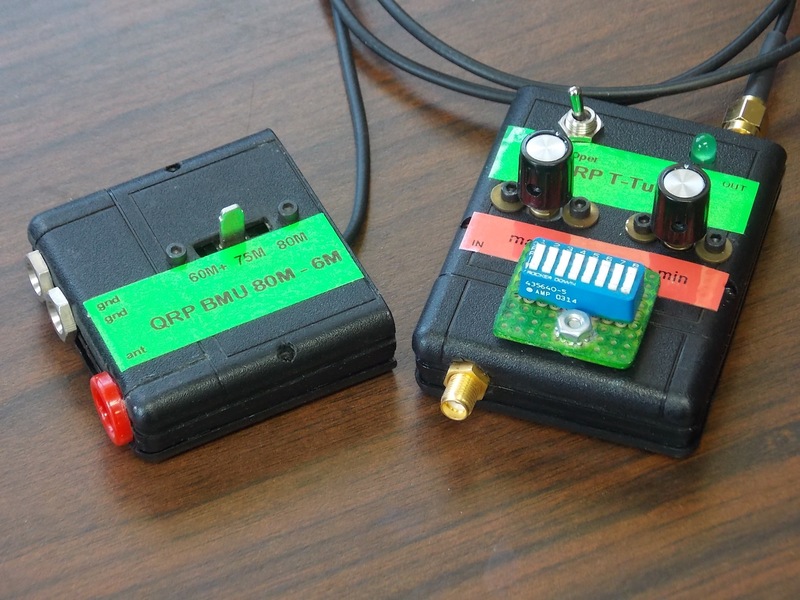 The T-Tuner and SWR bridge unit on the right, in the picture below, is not vastly different from others, but here it is for your consideration as a good performer at a low cost. Note however, that it has been characterized into real-world impedances with a worst-case loss of less than 0.9 dB. 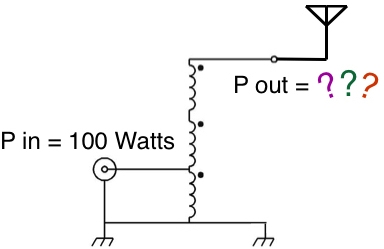 Often one sees characterization and loss measurement of UNUNs using an SWR measurement of the UNUN when terminated in it’s transformation resistance, or with the “back-to-back” 2-x-Loss method. 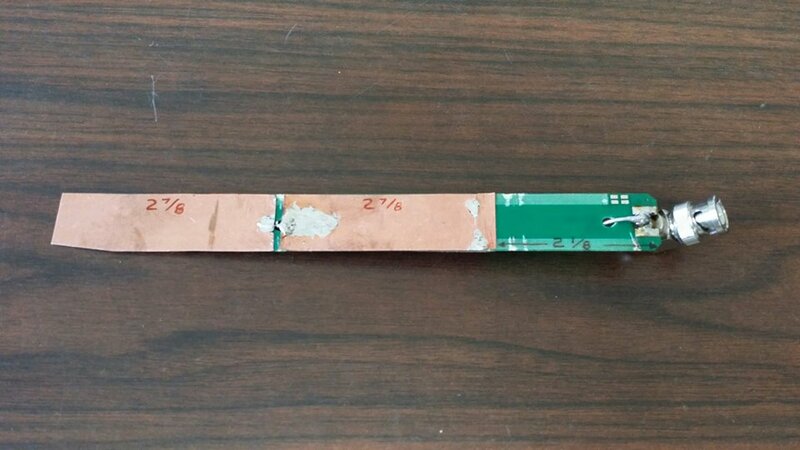 Each method reveals something about some quality of the UNUN, but neither method tell us much about how much power the UNUN will deliver to the actual antenna. In this article I will show a simple method of measuring actual UNUN losses into the actual load impedances that the UNUN will see in service.